My previous post was all about my expenses as a writer, and just after I published it I came across an article in TIME titled “10 Characteristics of Debt-Free People.” This intrigued me! 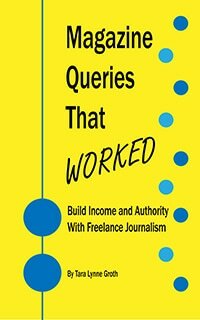 Many freelance writers struggle with slow or no-paying clients, which makes it difficult to reach financial freedom. Lack of money quickly hinders one of the great joys of freelancing: Flexibility and freedom with time. Self-reliant. All for one and one for one! Freelancers are one-man or one-woman shows. We don’t get sick days. We take working vacations. We process invoices. Understudies, paid non-working vacations, and employees are not generally associated with the freelance life. Patient. Okay, maybe as we wait to hear back from an editor or writing contest we may not be the most patient. Overall though, when you’re carving your way in the freelance world you know that rewards are not presented tomorrow for what you’ve done today. Heck, remember how many years it took me to get paid after I queried an article? Self-confident. Back in our school days my sister would say, “If you can believe it, you can achieve it!” Similarly, if you lack confidence in your abilities, potential clients will feel the same. I could easily place the balance of the traits mentioned in the article to other freelancers I know. This could mean that freelancers are more capable of financial freedom than they realized! Living debt-free, except for our mortgage. Reasonably and regularly raising my rates. Actively looking for ways to minimize (professional and personal) expenses. Great post, Tara, and ending with that Mark Twain quote (with which I wasn’t familiar) was perfect. Love reading your freelancer advice.